Get 50 FREE BFM-2000 missiles when you download this version of F.A.S.T! 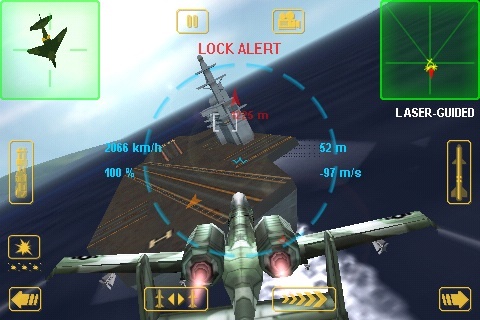 * One of PocketGamer's Top 10 iPhone Games of 2009! * Featured in iTunes as What's Hot! * Top 5 Paid Games! "F.A.S.T. is so gorgeous, so much fun to play and so packed with brilliant online modes that it can't be mistaken for anything other than the best of the best in its genre." "An extremely fun experience, and one of the most unique in the App Store." "F.A.S.T. is one of the rare games for the iPhone that will have you gritting your teeth and sitting on the edge of your seat as you wave your iPhone in the air like a raving lunatic." Take to the skies in F.A.S.T. - Fleet Air Superiority Tactics. Fly freely in a full 3D, 360-degree environment with realistic flight controls using the accelerometer. 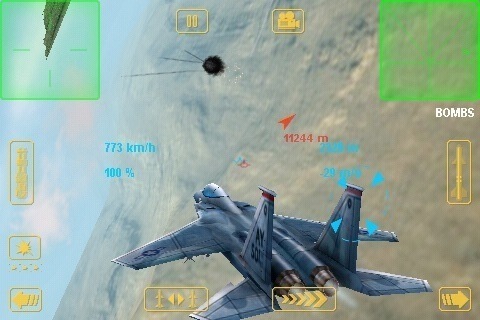 Engage enemies in locations around the world with 15 deadly aircraft. Drop bombs on enemy bases, dogfight enemy planes and manage the global DefCon ratings of each Theater of War with the all-new DefCon Map! Zoom past the speed of sound and eliminate your enemies via advanced weaponry such as radar-guided missiles, heat seeking missiles, free-fall bombs and 20mm air-to-air machine-guns. Watch your missiles slam into enemy vessels with the ultra high-speed Missile Camera. Form squadrons with friends and dogfight as allies or contra other pilots, real-time via WiFi or Bluetooth! Engage in 1-on-1, 2-on-2 and Free-For-All battles with people from around the world, the sky is the limit! Hone your skills with over 30 training exercises, including a step-by-step tutorial. 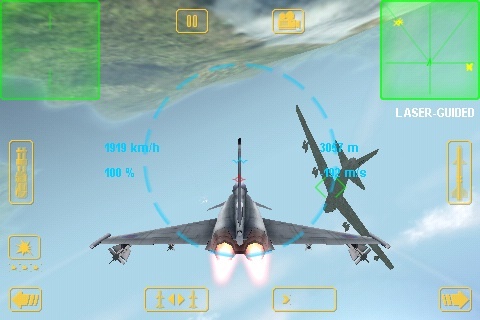 Unlock numerous fighter jets by competing training exercises and missions. 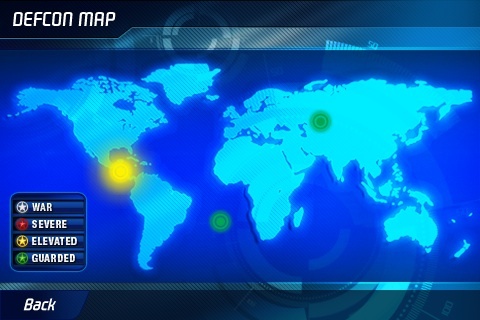 Earn money and experience by completing missions in locations around the globe. Unlock new advanced planes as you increase your rank to General! Get 50 FREE BFM-2000 missiles when you install this version of F.A.S.T! Fly tons of campaign missions and increase your rank to General with the new DefCon Map Campaigns! Form squadrons with your friends and fight to become the best squadron in the skies. 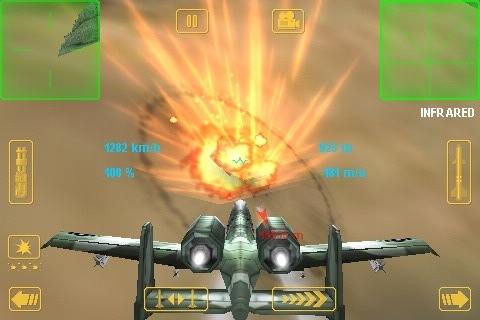 Dogfight enemy planes or bomb their bases in Bombing Run missions. Fly 15 deadly aircraft, including the all new EA-110. Utilize multiple weapons such as Radar Guided Missiles, Heat Seeking Missiles, 20mm miniguns and free-fall bombs. Compete one-on-one, two-on-two or Free-For-All over WiFi with pilots from around the world! Make private rooms and dogfight with your friends! The best full 3D, complete-control dogfighting combat environment available!